Lisa Drayer tells us the secrets to look absolutely gorgeous from the inside out. True beauty comes from within, so the key to a healthy glow may possibly come from your fridge and pantry. Nutritionist Lisa Drayer, author of the Beauty Diet, tells us the secrets to look absolutely gorgeous from the inside out. Gloria Tsang, RD: True beauty comes from within. So the key to a healthy glow may possibly come from your fridge and pantry. Welcome to the Nutrition Tidbits podcast. This is Gloria Tsang, Editor-in-Chief for HealthCastle.com. Joining me today is nutritionist Lisa Drayer, author of “The Beauty Diet”. She is here today to tell us the secret to look absolutely gorgeous from the inside out. Thank you for joining me Lisa. Lisa Drayer, MA, RD: Thank you for having me. Now we know that keeping skin well hydrated is one secret to keeping it young. You suggested drinking enough fluids and including omega-3 fatty acids in your diet. You also recommended avoiding a high protein diet. So tell us how a high-protein diet causes dehydration? Lisa Drayer, MA, RD: That’s a good point that you bring up and I talk about it in my book, “The Beauty Diet.” Basically, when the protein intake is very, very high, and I am talking about a really low carbohydrate, high protein diet. When there is too much protein, it can cause water loss from our bodies because our body excretes water in order to break down the products of protein metabolism. Also, when our protein is really high. Our carbohydrate intake tends to be lower and a low carbohydrate diet can also result in water loss. I recommend protein intake of about 80-100 grams, which is about 25% of calories on a 1,500 calorie diet. That’s what the beauty diet gives you. It gives you an excellent amount of protein to feed your features without going overboard. Gloria Tsang, RD: Perfect. That’s 25% of total calories. Lisa in your book, you have given a list of skin protecting antioxidants, including beta-carotene, Vitamin C, Vitamin E & selenium. You also mentioned anthocyanins. Tell us more about anthocyanins. Lisa Drayer, MA, RD: Anthocyanins have antioxidant properties. They can help rid our bodies and skin cells of free radicals, which can cause damage that can lead to skin aging and skin cancer. So it’s really important to consume lots of antioxidants in our foods. That’s why the beauty diet gives you a wide variety of fruits & vegetables and whole grains that offer antioxidants. The anthocyanins are the actual pigments found in blue and red fruits like blueberries. Blueberries are an excellent source of anthocyanins and I included blueberries on my top 10 beauty foods list because they are the highest in antioxidant activity. This high antioxidant activity is definitely due to anthocyanins in blueberries. Gloria Tsang, RD: So anthocyanins are found in blue and purple fruits & vegetables. What about pomegranate and plums? Those are also high in anthocyanins? Lisa Drayer, MA, RD: Exactly. Alot of berries and anything with a blue or purple or a red hue carries anthocyanins. Gloria Tsang, RD: Right, like in grapes. Lisa Drayer, MA, RD: Yes, they are also present in red wine. But blueberries have 5 different kinds of them (anthocyanins). And it’s also thought that they can protect free radical damage to our collagen, which is the skin’s support structure. Gloria Tsang, RD: Great! Now let’s move on to green tea. We’ve discussed the health benefits of green tea many times on our show but you pointed out one health benefit that no one else mentioned before. You claim that green tea is an edible sunscreen. Tell us more. Lisa Drayer, MA, RD: Research has found that green tea polyphenols, specifically EGCG, the main antioxidant in green tea, may be photo-protective. That is, EGCG and other green tea antioxidants may help prevent UVB (ultraviolet B ray from the sun) light induced skin disorders. One article pointed out that because of these photo-protective effects, green tea may actually have the ability to protect against photo aging, melanoma and other non-melanoma skin cancers as well. It’s really interesting. We have heard alot of benefits of green tea. Now we can add sun protection as an added benefit. Gloria Tsang, RD: Now how many cups of green tea should I drink everyday? Lisa Drayer, MA, RD: You want to aim for 8 cups of water or green tea on a daily basis. So if you want to consume anywhere from 2-4 cups of green tea is certainly a good amount. That way, you will certainly be consuming these important polyphenols like EGCG in green tea. Gloria Tsang, RD: Now, let’s talk about acne. When I was young, my mom told me not to eat chocolate or deep fried foods. So is it true that chocolate and deep friend foods cause acne? Lisa Drayer, MA, RD: Not necessarily. I think that’s a myth and I talk about this myth in my book. In fact, dark chocolate may be good for our skin. Research has shown that dark chocolate can actually improve skin hydration. It can make skin smoother but certainly, it will not necessarily contribute to acne. Interestingly though, it’s thought that refined carbohydrates and high sugary foods may cause a hormonal cascade in our bodies that cause our glands to produce more oil and this may contribute to acne. We are not talking about dark chocolate per se but research has shown that a high, refined carbohydrate intake (like candy corn, jelly beans, lots of cakes and cookies) may lead to acne by a specific hormonal mechanism that takes place in our bodies. I recommend limiting your added sugars to about 10% of your calories. If we are talking about 1,500 calories like that in the beauty diet, then you would want to limit your added sugars to no more than 150 calories. Gloria Tsang, RD: This is just another reason to limit empty calorie foods isn’t it? Lisa Drayer, MA, RD: That’s exactly right! Lisa Drayer, MA, RD: Sure. “The Beauty Diet” is my comprehensive guide to beauty nutrition. 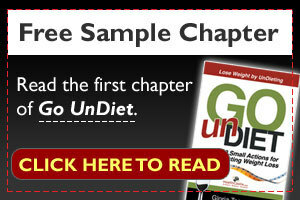 It includes research based nutrition advice to enhance your appearance. Specifically, what to eat for glowing skin, fuller hair, healthier nails, brighter eyes and whiter teeth. So I discuss in various chapters what to eat for skin, hair, nails, teeth and eyes. And at the end of my book is the beauty diet meal plan, which includes over 100 recipes. Every meal and beauty snack on the beauty diet meal plan contains at least one of my top ten beauty foods. These are rich sources of beauty nutrients. By following the beauty diet, you will maximize your intake of beauty nutrients, which ultimately will feed your features and keep you looking fantastic. And as I mentioned, it is only 1,500 calories. So as an added bones, it will allow you to lose weight as well. Gloria Tsang, RD: Great! Thank you for talking to us Lisa. Gloria Tsang, RD: We have been talking to Lisa Drayer, author of “The Beauty Diet.” For more healthy tidbits and information about this show, go to HealthCastle.com.